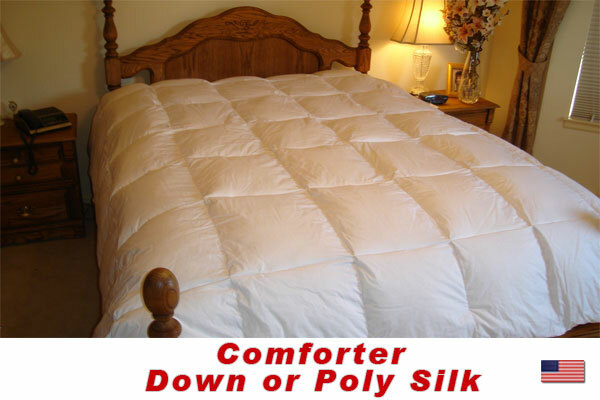 Eastern King Comforter, Choose From: Pure White Down, Feather and Down or Poly Silk Custom Comforter. Eastern King comforter SIZE 104 inches by 92 inches. This is a Medium (standard weight) comforter. These Eastern King Comforter, Down, Feather Down or Poly Silk Custom Comforters measure 104" x 92". Choose fabric and thickness.